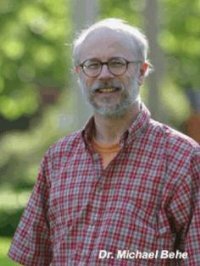 This entry was posted in Behe, belief, Christianity, creationism, evolution, intelligent design, religion, SciBlogs, science and tagged bad science, creationism, Darwin's Black Box, intelligent design, Michael Behe, SciBlogs. Bookmark the permalink. One great advantage to this kind of science is how very cheap and easy it is. No experiments to do, no field work, no satellites to launch, no long term observations required. Heck, you don’t even need much of an edumacation! From the comfort and safety of your own armchair, you can point to “the obvious” on your blog (ahem, “institute”) and proudly declare how all those smarty-pants scientists have it all wrong. Science denialism is for the lazy. Actual science demands work and lots of it. Nobel Prizes are not awarded to people who just whine endlessly. “Teddy Roosevelt won it in 1905 for helping to end the Russo-Japanese War. Woodrow Wilson won it in 1919 after pushing to join the League of Nations. Jimmy Carter won it in 2002 (not while he was elected in office) for humanitarian efforts. He got the prize before actually starting work as president. Since then he has killed thousands of civilians in Iraq and Afganistan. Nice work for a peace loving President. Google is not your friend. “The 2009 Nobel Peace Prize was awarded to U.S. President Barack Obama “for his extraordinary efforts to strengthen international diplomacy and cooperation between peoples.” The Norwegian Nobel Committee announced the award on October 9, 2009, citing Obama’s promotion of nuclear nonproliferation and a “new climate” in international relations fostered by Obama, especially in reaching out to the Muslim world. The Nobel Committee’s decision drew mixed reactions from US commentators and editorial writers across the political spectrum while the response from U.S. allies was generally positive. Obama accepted the prize in Oslo on December 10, 2009. In a 36-minute speech, he discussed the tensions between war and peace and the idea of a “just war”. Can”t you see the conflict? Gee Phil, and I bet you thought Obama’s predecessor GW Bush was just dandy. Yet another sufferer of Obama Derangement Syndrome. He got the prize for being the first black president. He has still killed as many civilians as all the others. He don’t deserve no peace prize. Mind you, neither does Al Gore. That’s not what you said before. Funny, what has this got to do with intelligent design research? I just thought of that, sorry. Nothing, Phil. You had gone of at a tangent – seems” Nobel Prize” sets you off. Still I wish we could debate my point about ID dishonesty. Funny, what has this got to do with intelligent design research? I just thought of that, sorry. Nobody mentioned Obama until you. Confused troll is still confused. Hey Cedric, you mentioned Nobel Prizes first, not me. Hey Phil, you mentioned Obama first, not me. Then you got confused with trying to get your story straight about him turning up for work before actually starting work and being the first black president derp that you derped. Then you couldn’t figure out whatever you were talking about had got to do with intelligent design research. Great way to make yourself look like an idiot. Obama didn’t get one for “turning up for work”. He got one for “not being Bush”, a international acknowledgment of the world’s opinion of Bush Lite. Not even Hitler’s successor, Konrad Adenauer, managed THAT. The Army has an armada of helicopters, although only the larger versions carry crew members. Can you imagine a trade show with no expenditure for shipping, transportation, hospitality, hotels or booths. As everyone is aware of the basic HTML course, learning PHP becomes more easy and simple.